George Motchan Detention Center is located in East Elmhurst New York. Originally this facility was opened as a correctional center for Women, but in 1988 it switched to a detention center for men. Today the George Motchan Detention Center has the capacity to house 2,098 male offenders. The facility is named after a corrections officer who was killed while working. 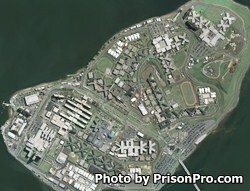 George Motchan Detention Center is located on Rikers Island. Visiting is based on the first letter of the inmate's last name. Check the current visiting schedule here for which days you can visit. Wednesday and Thursday visitation registration occurs between 1pm and 8pm, visits last until 9pm. Friday, Saturday, and Sunday visitation occurs from 8am-4pm, registration for visits is from 7am-2pm. No visiting occurs on Mondays or Tuesdays.